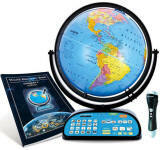 Desktop globe is available in English, French & Spanish. 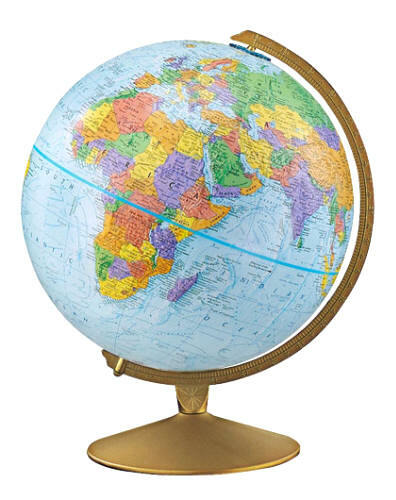 This political raised relief globe is mounted on a durable metal base. Thousands of easily readable place names and country boundaries.